Sports betting isn’t easy, if someone tells you it is, they’re either lying or some kind of savante. All of the successful tipsters we have found work hard at their craft and they’ve been through the up and downs that teach them what they need to do to make money. 1. 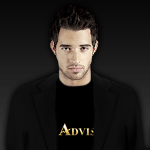 Aiden Monroe – Aiden has been running his service at BetAdvisor for over 2 years now and has proved himself as one of the very best horse racing tipsters around. In his 2 years online, Aiden has had 3 months that finished with a loss and only one of those was not recovered within the next 30 days. Aiden has recently split his service into an AM serice (for clients that want to receive tips in the morning) and a PM service (for clients that want to receive tips in the evening). This gives his clients the option of signing up for the service that suits them best. In his 2 years online, Aiden has racked up over 25,000 units of profit. An average one month subscription ends with a profit over 7.5 times the cost of subscription, an average 3 month subscription ends with a profit 10 times the cost of subscription. Aiden is a popular tipster so there is price movement but if you are able to react quickly and place bets as they are released, this is a horse racing tipster that is virtually guaranteed to bring you in some money. 2. 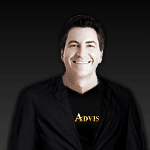 James Tucker – James may only have been on BetAdvisor since the beginning of August but he has an extensive trial record going back to November 2012. Since going online, James has quickly built up a strong subscriber base and though he hasn’t quite made it onto the list of tipsters who have had “full” services yet, he’s consistently close to that limit. Clients will always be happy when a tipster provides good tips with strong analysis and that’s what James does. Each tip comes with a good writeup detailing the horses chances of winning and there is normally some of the horses history thrown in for good measure. James has only suffered one losing month since starting his trial and that was back in January 2013, each month since then has seen a minimum yield of 6% and it has even gone as high as 87.9%. Don’t expect a yield of 80+% every month but this is a profitable tipster that is still relatively unknown in the wider betting circles so now is a good time to sign up to him and see what he can do for you. 3. Alfie Hazel – When we first put Alfie online he had a few months where he struggled but recently he has shown everyone that bringing him into the fold was the correct decision. With only two losing months over both his trial period and his time online, Alfie has shown that his consistency is excellent and that he can be relied upon to bring you a profit. Alfie does like an each way bet and whilst that approach does lead to less losing months, it can also mean lower profits overall, from the first 9 (and a bit) months of 2013, you could have won 4393.88 units following Alfies staking plan and betting each way when advised or 5815.5 units if you bet only on the win market. Alfie isn’t the only tipster this applies to, most tipsters that bet each way are in the same boat. We’re fans of Alfie here and we’re very happy to see him doing so well after a rough start to the year, we also strongly believe that this will continue for a while yet. FREE TRIAL AVAILABLE (at the time of writing). 4. 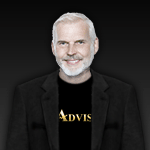 Geert Van Elsen – Geert is one of the longest serving tipsters at BetAdvisor and his results speak for themselves over time. He’s had a couple of rough runs and circumstances dictate that he isn’t able to post as many tips as other tipsters but if you are looking for a tipster who knows his craft inside and out, has shown over a very long period of time that he knows what he’s doing and can continue to make profit, this is your guy. With a minimum of ten tips per month of subscription set by our system as standard, you may find that your month of subscription lasts about a month and a half but Geert is happy for that to be the case as he looks to provide a quality over quantity approach to his work. Don’t expect a lot of tips during a subscription to Geert but you can expect high quality tips. 5. Arie Hordman – Our only ice hockey tipster on the site, Arie joined us in April of this year and has already made a profit of about 9000 units since being promoted. He’s solid and consistent with only two months where he has not covered the cost of subscription so far. Ice hockey may not be as popular as horse racing or football but it can still make money for the shrewd sports bettor. Arie is one of the few tipsters on this list who is currently offering a free trial to his service so don’t just take our word for it, head on over to his profile page and sign up for a free seven day trial now and see what he can do for you. 6. 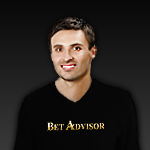 Drago Vasilj – Drago is the first of two basketball tipsters we will be recommending. Drago is a very consistent tipster with an average yield of 19% from his selections so far this year with over 1000 units of profit made. Drago joined us in February so he is well established and has clearly established his edge against the bookies. His graph resembles those of the very best tipsters, he’s a regular winner and that’s what we all like to see. The average one month subscription ends with a profit almost double the cost of subscribing, a €267 3 month subscription has netted an average profit of just under €420. If you base your decisions on whether or not a tipster will consistently win you money, check this guy out. 7. 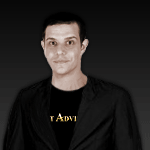 Dmitry Lebedev – Depending on when you read this, Dmitry may or may not be available, he is due to return from his break on the 26th October and we know there are a number of people who have been eagerly awaiting his return. 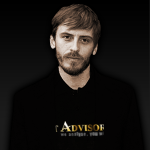 Dmitry joined us as a tipster back in December 2011 and has made money every year since joining us, 2013 is his strongest year to date and with him working in the NBA, he really is a goldmine for any clients following him. 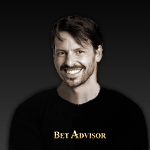 He’s consistent, profitable and working in one of the biggest betting markets in the world. He’s just about everything you want from a tipster. So, those are our choices. That’s not to say the other tipsters on the site aren’t worthy of your attention, they certainly are but if you are looking for a tipster who has shown a consistent ability to finish ahead of the pack, check these guys out. Let us know what you think of these 7 tipsters by leaving your feedback in the form below.